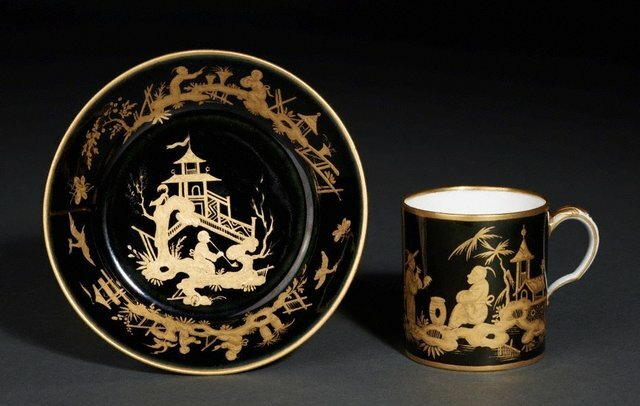 Hard-paste Sèvres with a black ground and gilding (sometimes with the addition of platinum decoration) was especially fashionable in the first years of the 1790s. The chinoiserie scenes are probably based on prints by Jean-Baptiste Pillement. The result resembles oriental lacquer.